I’ve become a big fan of RedBubble over the last few months. Sales have steadily picked up, and I’ve really been impressed with the product variety that sells. At first, I was only selling T-shirts and stickers. Now I sell, tapestries, posters, notebooks and so much more. 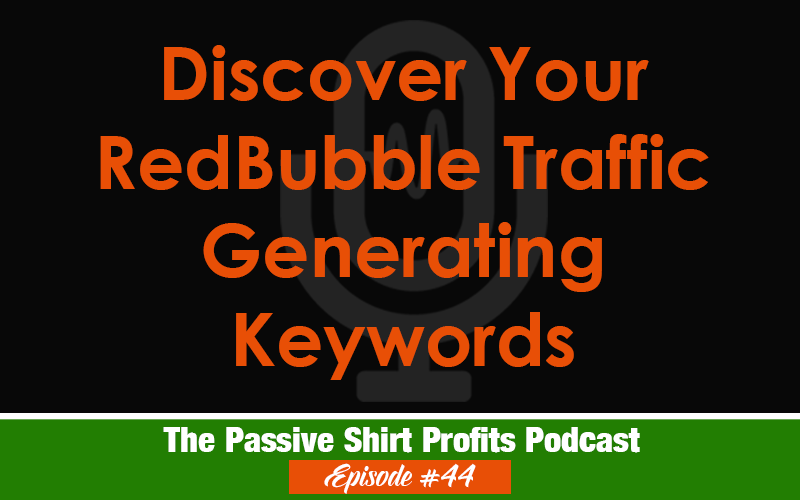 In this episode I will share how you can discover what keywords your products get found for, and how they will inspire new design ideas. Oh Lisa, I love Redbubble! The platform is so much fun to use. The Edit function is my favorite because you can do so much to enhance a design. If a design doesn’t quit fit a specific product, you can use the color picker to sync background colors. You can also use the scale and/or vertical-horizontal functions to perfectly fit images on products like phone cases and skins. I always select the Private setting before releasing a design to the public. That way, after saving, I can view the product to see if everything looks good. And I’ve become a big fan of the Incognito Window because it’s a great way to browse and see exactly what the customer sees. Yeah, Redbubble is my new favorite. Thanks for the info about setting up Analytics – I never even thought about it! Yes! I wish other PODs would offer some of the tools that RB does! I have been so encouraged with my sales lately of so many different products. Always great to hear from ya Lizzie!